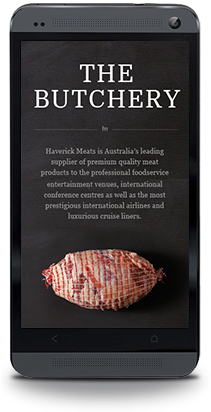 Haverick Meats is a leading Australian food services and retail supplier of fine meats. 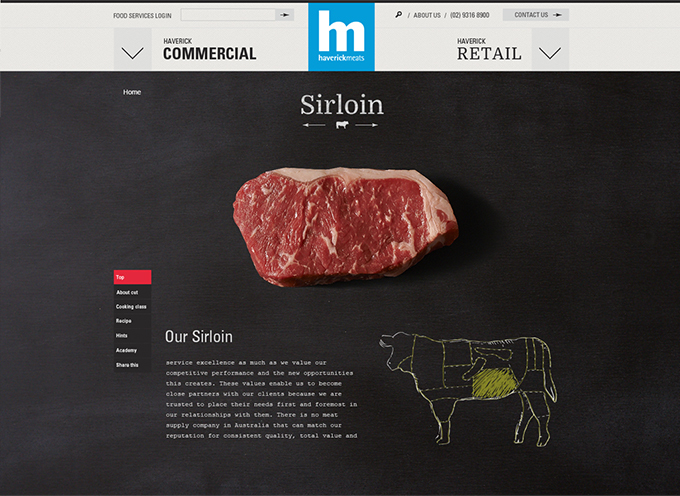 Comprehensive food services and retail website. Retail eCommerce. Online food services ordering. Long term strategy and roadmap. Many of Sydney’s best restaurants have one thing in common. They source their meat from Haverick Meats. And when we say the best restaurants, we mean quite literally the best restaurants. From 3 hat nosheries like est. through to supplying the meat patties to Chur Burger, a little hole in the wall in Surry Hills that just happens to have what is consistently voted as Sydney’s best burgers. From this, you could draw the conclusion that Haverick Meats sells the very best meat. And based on the who’s who of restaurants that Haverick Meats delivers to every morning, that would be a very safe conclusion to draw indeed. Even better. Haverick Meats is one of those stories that make you smile: starts life as a small butcher shop, 30 years later, boasts state of the art facilities, an exporting division and a hugely successful and overflowing Saturday Store where any aspiring home chef or BBQer can buy restaurant-grade meat at wholesale prices. Haverick Meats even has a cooking Academy where the chefs they supply to, cook their signature dishes in state-of-the-art kitchens while you and I sit back with a glass of red. Nice. 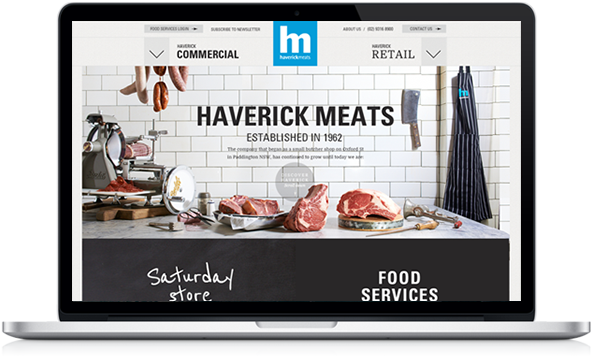 The new Haverick Meats website showcases all of this and more; it tells a story of passion, incredibly hard work and relentless quality. 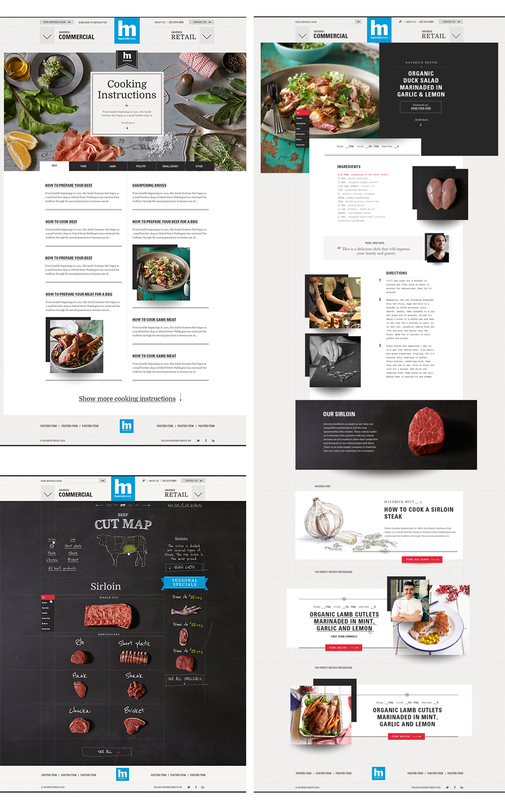 There’s online ordering for key events like Christmas and Father’s Day, chef recipes, Haverick Hints™ and a fantastic guide of the many different cuts of meat available from Haverick Meats and how to cook these cuts like a pro. Nothing can beat the theatre, smells and experience of the Saturday Store though the new website does pretty well for every other day of the week. And will continue to do so as it supports the growth and brand of a small butcher that came good.